Are the Duggars broke? That seems to be the question on a lot of people’s lips now that the family’s been cut off from their main source of income (their $40,000 an episode salary) and are putting their hands out more and more often, asking for their fans and supporters to buy their t-shirts and “send cards,” *wink wink*. The Daily Beast has put together a list of the ways the Duggars have been asking for money recently and it’s pretty egregious. And it’s possibly worse: sources are speculating that the family doesn’t even need the money and are just being greedy for the sake of being greedy. Aside from shilling t-shirts for their YouTube channel (which has 10 videos, including one of the Duggars playing in the snow) to true believers, the family also added a “donate” button to the channel and then quickly removed it after everyone rightly went batshit about it on Twitter. Even those who love the Duggars aren’t willing to shell out money to pay for 12 second videos, no matter what the quality. 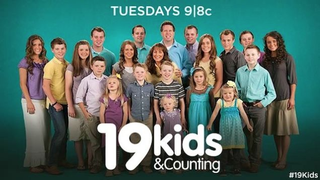 ...shortly after the cancellation of 19 Kids and Counting, Duggar daughter Jill and husband Derick Dillard asked again for donations to their tax-deductible organization Dillard Family Ministries, which funds their evangelical work in Central America. The Dillards currently accept donations online with suggested monthly donations ranging from $15 to $100. The Arkansas Secretary of State’s website shows that the nonprofit paperwork for Dillard Family Ministries was filed on June 17, a little less than a month after the allegations against Josh first came to light. Sounds like they were scrambling. But what’s even more ridiculous is the call for “cards and etc” that Duggar niece Amy (who???) put out after her TLC wedding special was cancelled. Amy claims that her motivations aren’t financial (she just really loves writing thank-you notes, y’all!) but The Daily Beast (and everyone else, probably) is unsurprisingly skeptical about this assertion. Cards are nice and all, but there’s no way that she wasn’t hoping that a few (hundred) of those envelopes contained a little something-something to make up for the fact that the special wouldn’t be airing. Also, Amy’s claim that she doesn’t “care about gifts or money but just wants to thank everyone” is weird, considering that she’s openly soliciting things from strangers who wouldn’t be sending her anything otherwise. If you’re that hard up for thank-you card writing (which is so awful that I’d rather just not receive the present), you’ve got to find a different hobby. While some of the Duggars are still making paid public appearances and giving speeches, it’s not certain that their popularity will last since their show’s been cancelled. And it’s even less certain if the Duggars who, The Daily Beast points out, are known for their resourcefulness and insistence on keeping a reasonable budget were just as thrifty as they had been before TLC came knocking. And if there’s any Duggar we should be worrying about, it’s Jana, whose work prospects outside the television show appear pretty grim. “Jana plays the piano and may or may not be training to be a midwife,” we’re helpfully informed. The Duggars did not respond to The Daily Beast’s request for comment, but did send an automated reply detailing how to purchase their books online.